The Bamboo Palm is one of the most popular palm trees to grow and sold as both an indoor and outdoor plant. They grow well in pots and have been used as house plants for many years. Two species are given the same common name. They do differ a little in height and growth habit. Available for sale in a range of sizes from around $45 in a 20 cm pot. It is Chamaedorea Seifrizii that is most widely known as the Bamboo Palm, and sometimes the Reed Palm. The common name gives the correct indication that it grows as a tall canes, still fairly low growing but will eventually reach around 2-3 m over time . Chamaedorea species available for sale in Australia include plants also known ‘Parlor palms’ and they are a widely grown plant for indoor use. 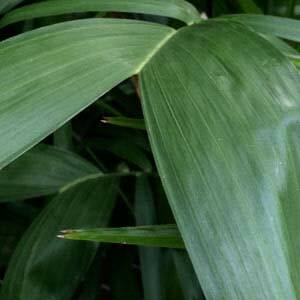 If you are looking for a slightly smaller growing growing plant, then what was known as the ‘Parlor Palm’ Chamaedorea Elegans is one to look for. It has also adopted the same common name. Being the smaller growing species, it is used widely in commercial shopping centers, office buildings as well as a hose plant in domestic situations. Attractive foliage and the ability to cope with low light make this an ideal house plant. Other species include : C. Atrovirens (Cascade Palm) C. Microspadix, C. Cataractarum, C. Metallica, and C. Oblongata. How to grow the Bamboo Palm. If you look at the natural growing conditions then it becomes easy to understand basic growth requirements. Put in perspective the natural growing conditions are as under story plants from South American rain forests. They grow well in filtered light, humid conditions and a moist but well drained soil, like most plants they do not like wet or soggy soil. Choose a position with good filtered light. Try to avoid positions where cold winds are likely. Use a premium quality potting mix that is reasonably free draining. On purchasing, water the plant before removing from the original pot. Choose a pot or container only slightly larger than the original pot. Add some potting mix to the bottom of the new container to get the final soil level correct. Just below the top of the pot. Remove the plant from the container, disturbing the roots as little as possible. Place in the new container and backfill with the potting mix. Chamaedorea do well in pots and require little care. Like most plants keep moist but water regularly only during the growing season, do not over water. Only water when the top of the soil begins to dry. Check the drainage holes every few months to make sure they are not clogged. Use water that is non chlorinated and at room temperature. Apply a slow release fertiliser once a year, generally in spring. As the plant grows you will need to repot, maybe every 3 – 4 years. Use a pot only slightly larger each time. Foliage can be cleaned of dust using damp kitchen wipes on the leaves, but make sure they are chemical free ones. A time spent growing outdoors every 6 months if also beneficial but not essential.